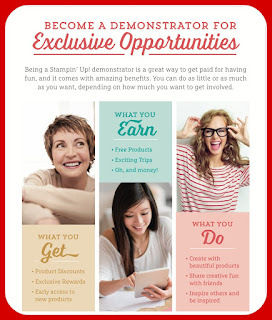 Have you thought about Joining the Stampin' Up! Team?! 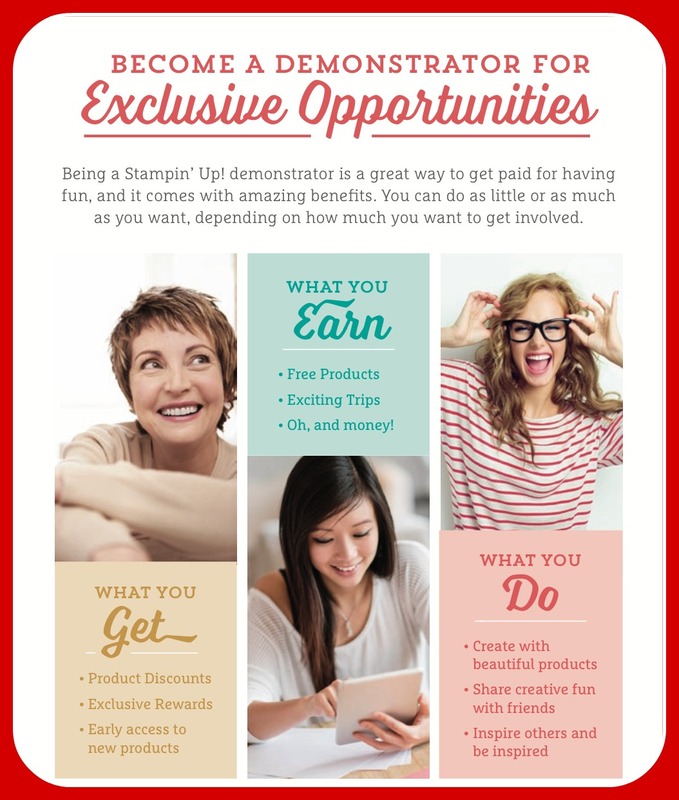 I know about the fabulous benefits of joining the Stampin' Up! team (and my Papercrafting Genies!) but do YOU know?! I prepared this outline of all the benefits, but hurry ... some of the benefits are over with the end of Sale-a-bration on March 31st, 2017, just 4 weeks from now!! Lower Cost + Complete Customization = The Stampin’Up! Opportunity is Better Than Ever! The deal during Sale-a-bration is INDEED "better than ever!" Now, every new Stampin’ Up! demonstrator can create a customized Starter Kit for just $99. But ... the kit is worth $125. That's $36 for free! 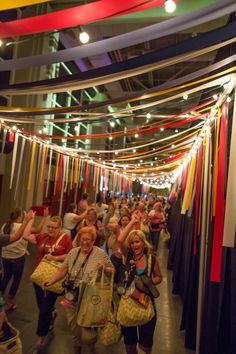 This is just one of the ways Stampin’ Up! is demonstrating the My Way philosophy of doing business — by making the Starter Kit completely customizable. MORE CHOICES! When you purchase the kit for $99, you can choose up to $125 of ANY current Stampin' Up! quality products. You'll also receive a business supplies pack valued at $65. This kit ships for FREE! This is a fabulous deal, whether you are a hobby stamper or want to be a business demonstrator! There's MORE!! You can also choose TWO additional stamp sets for your Starter Kit during Sale-a-bration — any stamp set, any price! (Excludes bundles and Sale-A-Bration sets.) Plus, the kit ships for free! In addition to filling the Starter Kit with your favorite Stampin' Up! products, you'll enjoy Stampin' Up! Demonstrator Benefits and Discounts. For $99 you get $125, (plus an additional 2 free stamp sets during Sale-a-bration which ends March 31st, 2017) worth of YOUR CHOICE of ANY current products in the Stampin' Up! Catalog or Occasions Catalog. FREE SHIPPING: The starter kit ships to you FREE, another 10% savings. I LOVE THIS CATALOG: You'll receive 8 copies of the annual catalog as part of your kit. Share with friends, customers or keep one in every room. The catalog is THAT good with its clean and simple design, pretty samples and oodles of stamp choices. TAKE A TEST DRIVE: Test out demonstrator discounts and benefits from the time you purchase your kit. There's NO PENALTY TO DROP!! If you reach $300 in sales by the end of your first full quarter as a Stampin' Up! demonstrator, you renew your discounts and benefits for another quarter. There's no obligation to purchase anything further but the discounts are fabulous if you do! And... you can keep your starter kit! You're not marrying me ... you're choosing a fantastic benefit! Get 20% -25% off Stampin' Up! products or keep as "instant income." Now that's what I call happy shopping!! Pre-order select Stampin' Up! stamps, tools and embellishments a month (or more) before the customer sales period. So cool and one of my favorite perks! Encourage others to join your group (recruit) and receive downline override compensation based on group sales. Receive Stampin' Up! 's exclusive demonstrator magazine, Stampin' Success, quarterly. You'll also get the Succeed Weekly in your email box every Tuesday, chock-full of updates and uses for their product. Enjoy 2 free months of a personalized Stampin' Up! on-line store and blog (Stampin' Up! DBWS - optional $12.95/mo. after trial) if you sign up during your first two months as a new demonstrator. Be inspired by video tutorials and project ideas on the Stampin' Up! demonstrator web site. You'll love Stampin' Connection!! Be part of a private Facebook/Google+ group where you can ask questions, get support, and be inspired by team member samples! If you select me as your upline, you'll be part of a team here in New England. My team name, the Papercrafting Genies was approved by Stampin' Up! so we're official! You'll also be part of a bigger team, The NE StampInkers, with support and get-togethers sponsored by MY upline! Join NOW! Think about it . . . great deals, exclusive resources and new stamping friends with no pressure to sell or hold workshops (but lots of advice and support if you do). There's no penalty to drop! QUESTIONS? Please Email Me for a quick response! READY TO SIGN-UP ON-LINE AND GET BENEFITS INSTANTLY? Click Here. Doesn't this look like fun?! This photo is from one of Stampin' Up! 's "On Stage Live" where hundreds of demonstrators are learning new techniques and about all of the fantastic new products coming out this year! Be among the first to know!